Derek�s passion is performing his music and songs at American Civil War events and commemorations at such sites as Gettysburg, Sharpsburg, and Harrisburg with his band The Sons of Erin. His ability to weave together the history and the song has earned him much respect. 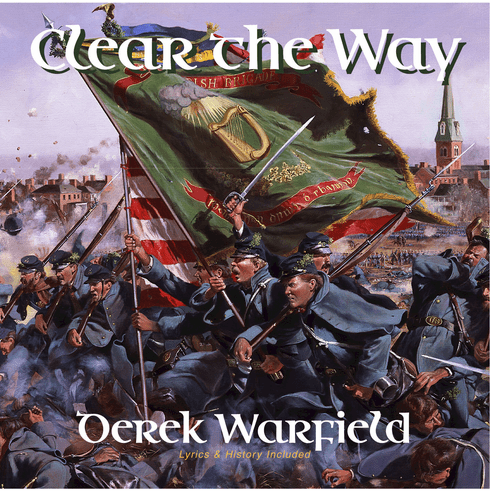 Clear The Way is the second in his Irish Songs in the Civil War series. Clear The Way is a reminder of the mass exodus of the Irish race to America after the great famine. With careful and painstaking research Derek has brought to life through song the story of millions who departed Ireland for the New World between 1845 and 1865, only to become part of the bloodiest battle of the century.